We are here to celebrate the life of John Sheely; as we knew and loved him in Sydney; aka Jack Sheely, as he is known and also loved in Melbourne. It may seem a funny place to start, but John Wayne, in some of the Western movies he acted in, frequently referred to other characters in the story using the term “Pilgrim’. Implicit in his use of the term “pilgrim” was that the character he was addressing was one he recognised as travelling on a long journey to some sacred place as an act of devotion. It was a greeting of respect. The recipient of the “pilgrim” title may not have seen himself in such terms and I doubt that John did – but that would not necessarily have made the salutation inaccurate. There is no greater gift for anyone than the gift of existence that comes through birth – the opening of the eyes to the light, the beating of the heart outside the womb, the awakening of the brain. John’s long journey stared 83 years ago in Narrabri. In the circumstances in which he was born, raised and worked he came to understand that the gift of existence included not just birth and baptism but also a lifelong ticket to eternal life. I suspect while he was still fairly young and perhaps still in school, his already active respect for religion caused him to select heaven as the sacred place for his ultimate destination. I don’t’ suggest others would have made the choice as young as he did, and I recognise others will never made the choice. The act of devotion constituting his journey was the daily living of his life in the service of others, and in maintaining his spiritual commitment and outlook with a genuine and earnest commitment to the foundational values he found in his Catholicism. He told me not long ago when we were talking about the frailty of old age, his goal during his final years was to do “Each day, one significant act for others”. From a very early age his idealism helped him form an intent, which can best described by me today, in this place, at this time – as one of being a valiant pilgrim. He was a devoutly religious man. In this there was a difference between he and others – but a difference without significance for him in his interest in and affection for others. His religion did not sit comfortably on him as it may do with others. That does not mean he didn’t receive nourishment and renewal from it. Indeed, the opposite would be true. John Steinbeck used an analogy in his novel, East of Eden, which may help me describe what I observed in the years we shared accommodation, teaching and football coaching during our time at St Leo’s College on Sydney’s upper north shore. Steinbeck describes readers of books as falling into two groups – the canoe rider, who enjoys and accepts all the river of words and ideas the book has to offer from above in the comfort of the canoe, reveling as the canoe swirls in eddies, glides over rapids and bobs in the quite spots to be found in the various passages of the book – and that other group of readers who, like the mole need to burrow down the tunnels created by meaning of the words of the book, follow them wherever those tunnels travel, understanding and appreciating the author’s thoughts down close and personal, and, in the final chapter emerging to the ground outside with the book’s contents covering its fur. As it was with the Steinbeck’s book readers, so it was with John Sheely and his religion. He was one who burrowed down into the theology, teaching and practices of the Church. He felt the people empowered with management of the Church sometimes prioritized things that were, in reality, unimportant, and devalued other matters that, for him, should have been front and centre. He was appalled that any man of the cloth and others could have defiled an innocent child who was pursuing his/her own journey to knowledge, unscarred maturity, personal fulfillment, and salvation. Be all that as it may, his sacred destination was always firmly in his sights, and his religious beliefs provided, for him, the only pathway to it. His 83 years journey to that sacred destination ended last week. The portion of his journey that I shared with him is something I celebrate not only on this day, but also frequently. I acknowledge that I gained so much fulfillment, maturity, objectivity and common sense from an encounter lasting 50 years – although the real intensity of the encounter was during our early years as fellow teachers and flat mates from 1967-1970. 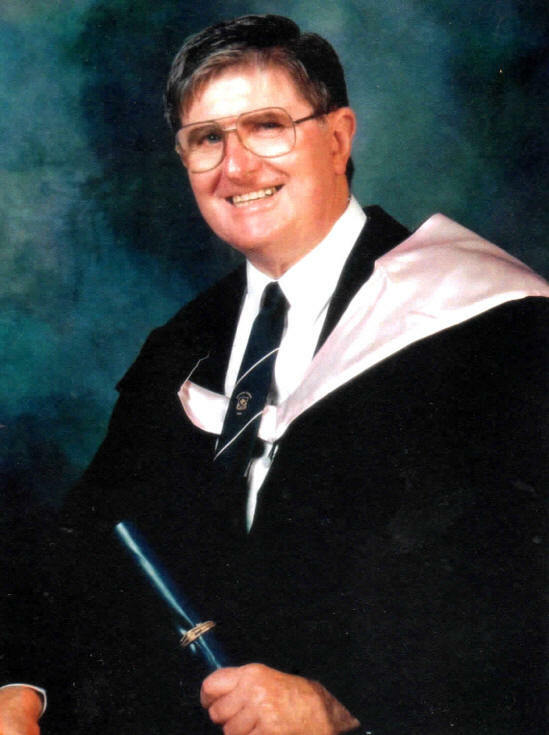 Forty or more working-years of his journey were spent teaching – initially in Sydney, and subsequently the vast bulk of it in Melbourne. 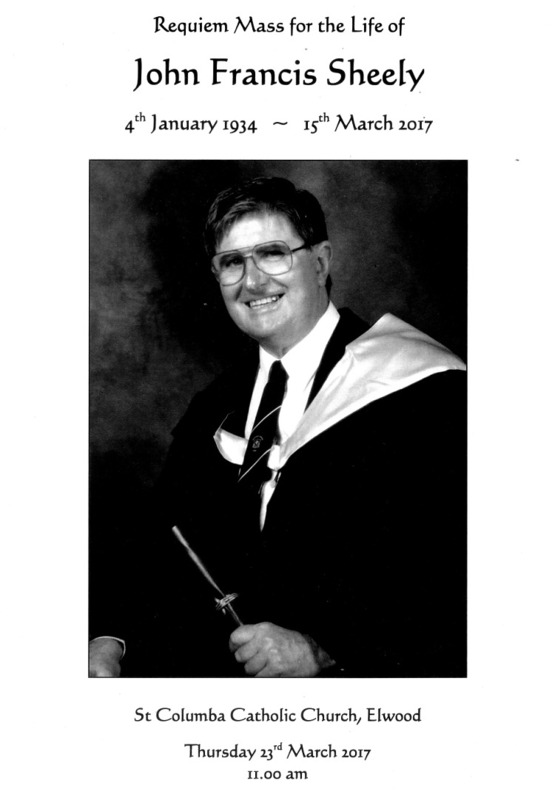 He brought to St Leo’s and I have no doubt to those schools he graced in Melbourne, much more than textbooks and the strap as his teaching aids. He specialised in ancient history, he has taught religion, economics, English. He was widely read, and intelligent. His mind was an enquiring one. Jack was one of those rare teachers who instinctively understood that the textbooks, the class room, the rugby pitch were merely teaching aids and a platform he could use to import an insight, into what made a moral man in the 20th Century. He recognised that for the year or years he had children in his class, or in his footie side he was a male role model, outside the relevant child’s family, but one in a position of significant power and influence delegated to him from the parents. Accepting, as he did, that was so, he became a valued role model, because he was a role model of moral values. He used both the classroom and the sporting fields to inculcate the values he cherished, including spiritual, humour, kindness, compassion, intellectual discipline, the appropriate way to handle knowledge and the power coming from knowledge without offending; courage under pressure and the importance of determination and teamwork associated with success. He was, for all students, approachable, respectful, and graced with wisdom. "To be honest I feel a little hesitant about being a burden to Ron or Greg or you. I am missing some internal bits – have an artificial hip – a rheumatoid lung, and am accompanied by a bag full of inhalants, pills and potions – but I am still lively – walk heaps, full of memories, have a lively cynical sense of humour and a fond regard for you Levites. The acceptance list [to the reunion] brought to mind vivid memories of almost all – of course they are of schoolboy faces – forty years ago. We have all changed but “age has not wearied us”. Some of his former students have come from Sydney for today’s ceremonies. [One – Rory Barr, who saw him frequently in Melbourne, is too unwell to travel but acknowledges all John has personally done for him] John valued their respect in the same way as they valued him. At the outset of his teaching career, he anguished long over whether he would teach in the black habit and reversed collar of a Christian brother or the suit and tie. After much reflection, he left the community of brothers in, I believe, in 1960, choosing to continue his journey as a lay teacher at St Leo’s in 1961, where he remained for a decade. What he did not leave behind in the monastery was his commitment to the practice of Catholism and his sense of vocation as a teacher. He loved his sport. He was not known for any personal sporting skill – but rather for his coaching abilities. At Leo’s he was the First Grade Rugby coach. He was demanding at training, he could spot talent and knew where on the footie field to place that talent. He was a wonderful motivational speaker, and orator – a skill he used well at half-time. He had a good analytical eye for what was happening on the field, both among his players and among the opponents. I was the second grade coach and can now confess to often extending the weekly list of injured players in my Seconds, for fear of having them poached by him into his First grade team. He forsook his intense passion for Rugby when he moved to Melbourne, and reverted to a love of Aussie Rules, which, I suspect he first picked up in Albury as a youngster. He has told me more than once how much he enjoyed going to the grounds and watching his team – his beloved Hawks – with his nephew, Wayne. He was particularly proud that Wayne’s son, also styled as “my nephew Isaac” played in that side. 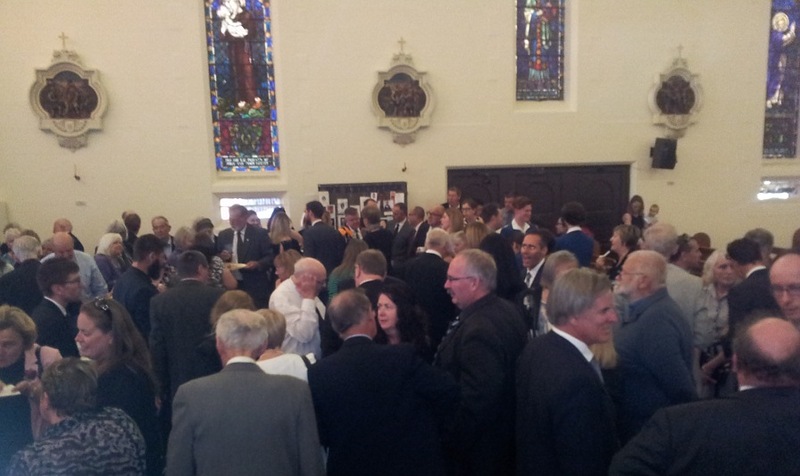 We have good reason to assemble here to celebrate Jack Sheely’s life. The life we celebrate was, exceptional and endearing. For that reason it is no wonder we also mourn his passing. His being among us for four score years and three, has enriched each of our lives by virtue of his knowing us in one capacity or another. Over the years we all, to a greater or lesser extent, shared mutual experiences with him. He leaves behind a pathway, rich in treasured memories unique to each of us, formed as we shared those experiences with him during our own separate life-journeys. He has gone now to He who Samuel Taylor Coleridge described as the “God who loveth all”. Today, Heaven has a new and worthy adornment. Rest in Peace my dear friend – it is a peace you so richly deserve. May you bring to those in Heaven as much joy as you brought to us on earth. You’ve gone and we will all miss you. My letter to you is a personal one…. But one that will have elements that so many of your Sydney friends will share. My first recollection is of you conducting assembly sometime in the early 1960’s. I’m fairly sure you first taught us in 1st year of high school in 1964. You were our English teacher that year. As a senior school teacher, we had more and more to do with you as we progressed through high school. Unbeknown, to both you and us, your young enthusiastic students came to admire you through your dedication and professionalism to your work - and to us, your charges. Your cheerful, optimistic demeanour became second nature to us. We, none the wiser, took it all for granted. It was as simple as supervising us in your yard duties at lunch time; but also much more complex in your determination and care that we fully understood the Life concepts that you were imparting to us in the class room. Your legendary status was moulded by your Rugby coaching usually on Leo’s ‘Top Oval’. No one at St. Leo’s at that time was unaware of your passion and commitment to Leo’s Rugby teams, even though we were a young school and often got beaten by the older schools. Your passion inspired similar emotions and enthusiasm throughout the entire school. During the football season, the Rugby teams that you coached consumed school life and conversation. You left St. Leo’s at the end of 1968, a year before we finished in ‘69. You’ve told me one of the reasons for leaving is that you didn’t want to become so much a part of the place “that you’d be the Mr Chips of St Leos”. I have to tell you that at the age of 35 you were too young to become a Mr. Chips – but on the other hand you had already become an early incarnation of Mr Chips in so many peoples’ eyes. It was already too late to escape. I don’t know why we particularly became friends beyond the teacher/student dynamic. I count myself lucky, as many of my friends from Leo’s do also. I think we were all so lucky to have had the contact and friendship with you, which was an all giving and no expectation alliance. What a listener you were. And how many times I would put forth a position which I thought that you were not going to concur with. After listening intently, you might make a suggestion, but you never came out with a blatant rebuttal. I hope one day I can emulate this tolerance and understanding of others and their points of view, as you did so often. I don’t know why, notwithstanding that we were half a generation apart, that we could get on the ‘phone, on email or catch up in person and immediately ‘click’ and be as one, as friends. I suspect you affected many people in this way. We were all very lucky that you, John Sheely, walked this earth when we did. We were lucky that ‘we got to know you’ and were part of your life, and thank you and God for making this so. With love….. on behalf of the St Leo’s 1960’s family." In 2015 Chris and I were given the privilege to travel overseas with the students on the Padua College Charism pilgrimage to Italy and Ireland. It was our first trip to foreign shores and like Jack flying overseas was in itself a treat. When in Italy our group stayed a few days at the hillside village of Assisi. At my first sighting of Assisi I realised what Jack meant when he said, “Wayne, Italy will open your eyes to the history of Catholicism.” Jack was right; our first view of Assisi was more than anything we could ever have imagined. I knew then why Jack had such a passion for the Early Church and why Jack had been called to be who John Sheely was and who John Sheely had to be. We are told that St Francis of Assisi lived a simple life; some would argue he went too far with self-sacrifice and could have cared more for himself; surely God’s plan was not for St Francis of Assisi to be consumed with giving, surely we are all supposed to receive something in return for our labours. St Francis was called to help the needy and at times suffered for others. St Francis never felt contented with doing enough; he often wrestled with his inner thoughts of doing more, yet he and Jack Sheely’s ‘more,’ I believe, were so much more than most people could ever dream of doing, especially with actions that were laboured through grace. St Francis of Assisi had an impact that changed lives, he gave meaning to the simple pleasures of life and when I read the lines of the last chapter of St Francis of Assisi – The Reluctant Saint, I said to Chris there’s another reluctant Saint that lives at 6/49 Ruskin St Elwood and this kind and generous reluctant saint’s journey began on the 4thth January 1934 at the Narrabri District Hospital on the central coast of NSW. Jack’s parents Frank and Ivy Sheely were both devoted to their children Jean, Ken, John and Helen. The children enjoyed a loving home that was often filled with music, extended family conversation and the breaking of bread around the meal table. Pop was an avid sportsman and played cricket and rugby league at representative levels; Elder son Ken was destined for a baggy green cap but World War Two put an end to his flourishing leg spinning career. Nanna was in charge of the household, a brilliant cook, a kitchen talent that Jack never could grasp or aspire too, although when living in Melbourne he would often phone his sister Helen in Albury for cooking instructions on boiling savaloys. Jack was more of the tasting variety, give him an apple pie or passionfruit cake and his life was content. Jack’s sister Jean who is 95 and (and at this very moment saying the rosary at her home in Tamworth) said when Jack was 3 years of age, a next door neighbour commented, “John Sheely, you are a kind and caring little boy.”……….…..words that stayed with that little boy for the remainder of his life. Home in Narrabri was waved goodbye when the Sheely’s headed down south to the Riverina town of Junee on the Melbourne to Sydney rail line and 40 kilometres north of Wagga. Pop was a clerk in the railway and in war time his job was vital for the war effort, especially on the Melbourne to Sydney line. Jack began school at Junee and after six years the family moved in 1942 to Albury as pop was needed at the Albury Railway Station to assist with the massive numbers of troops changing trains from the Victorian to NSW railway gauge. Jack’s Albury days were with the uneventful Smollet Street gang, good wholesome fun was had with the likes of Mick Burgess now a Monsignor at Wagga, Mark Fulton, Peter Lucas and Bill Lees a chemist in London who Jack visited many years later when overseas with Bill Humphries. Jack was an outstanding student; he and younger sister Helen were both very accomplished violinists and taught by the famous Mercy Nun, Sister Therese Edwards, a renowned tutor. Jack loved walking down to the Albury Sportsground to watch the Albury Tigers play in the O&M League. Jack’s passion for football was always strong, regardless of the code. The Sheely’s lived two doors down from St Patrick’s CBC where Jack was educated. Their house named Kings Cross was near the railway station and Jack often spoke to me about the memory of many knocks on the front door from people needing a bed or food during the war years. The story of the reluctant saint had begun! 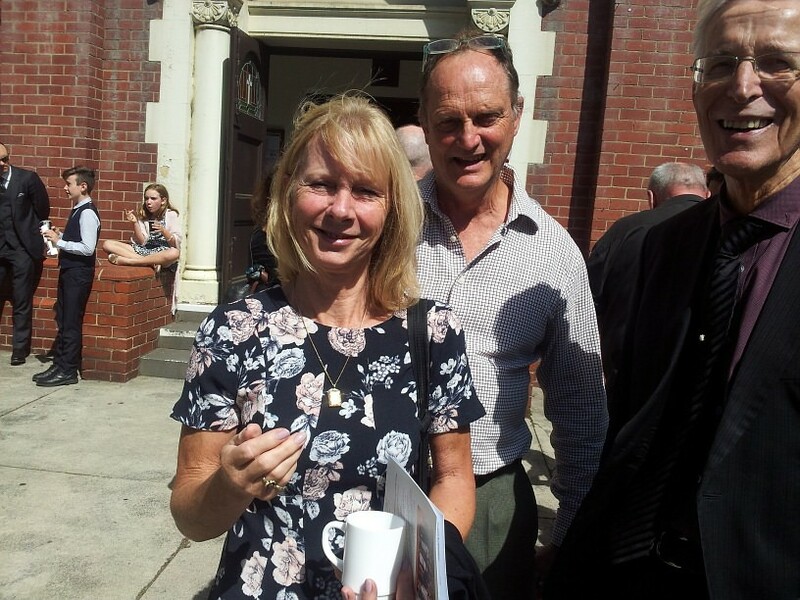 By this time older siblings Jean and Ken moved on to begin the own families journey’s. Uncle Ken married Elsie Elliot (from Geelong) eventually living in Junee before settling in Goulburn. Aunty Jean married Maurice Hutt (from Junee) and they found their way to Sydney after living in Wodonga and Mt Beauty. Helen married Kevin Smith (Albury) and they stayed in Albury. During his years in the brothers Jack taught in NSW and also in Queensland. In the early 1960’s he made the defining decision to leave the Order and linked up with good friend John Nicholson at St Leo’s Wahroonga. Jack left the CB’s but his Vow of Poverty always remained. The St Leo’s Old Boys are represented here today and thankyou for taking Jack to Sydney every year to share his and your stories of the past and for your untiring respect for your Mr Chips. The wisdom of Sr. Rosemary Crumlin and he. Met Margaret Egan a close friendship that was to be a joyful time for them both. Marg and Jack were like a married couple who had their individual home lives. They spent countless times together and had many a trip to Swifts Creek and up to Albury. Jack though, still needed to be Jack Sheely of 6/49 Ruskin Street besides how could a bachelor of all these years ever think of co habitation. Much to Marg’s dismay, she loved Jack for who he was and both were devoted to each other. Jack became very much a part of the Egan family and after both Marg and her sister Denise passed away Jack up until his death last week, would visit John Garlick (Denise’s husband) weekly to ensure John had companionship and outings. The reluctant saint was a man of duty and always so humble. I contacted Jack to tell him the story. Jack immediately sets off for the Police Station, bails the fellow out and then on returning home at 2.00am lets me know we will eat what we have, as the bail cost Jack his savings and what he had in his wallet. Jack said he had taught the man in 1964 at St Leo’s but had not seen him since. The reluctant saint was selfless. “Great Jack, did you get Geoff from next door take the doona down for you?” “Oh no, but I came up with a less than ingenious method. I pulled it out of the washing machine and wrapped it around me then walked down to the clothesline.” “How is the carpet Jack, like a river,” he replied. Life is full of twists and turns but rest assured any conversation with Jack Sheely meant that you discerned; you listened; you internalised; you found balance in your argument and you put the phone down with a view that you were grateful to have spoken with him. Jack was ever grateful for the wonderful friendships he made over time at St Leo’s; his years at CBC St Kilda then the giant leap for him into co-education at Emmaus College. Jack had the knack of always providing such wise counsel to so many and in such a respectful and dignified way. His passion and great humour gained the admiration moreso than anyone I have ever heard about in catholic education circles. Jack often spoke often about the card and music groups; his house sitting at Liz and Owen’s and his commitment to the reading roster at St Columba. I received weekly reports on John Garlick’s health and Jack never forget a past friend or colleague in need. His calendar was booked up seeing people or old boys who may have flown in from OS or who flown to Melbourne from other states because they wanted to catch up with John Sheely. The reluctant saint was even more popular at 83 and even his family had to book in a time to see him. Jack devoted his retirement years to service. He loved his St Columba parish, his work at Sacred Heart Mission and that repeated line, he never stopped giving to others. The Sunday before Jacks death we had in Elwood. We spoke about all the great nieces and nephews, we deciphered the result of the WA State election; the need for Church to experience an honest sense of self renewal; what topic I was studying this semester for the Masters of Theology and then the important matters – Hawthorn’s first game against Essendon and is Isaac ready to go. I was worried about his breathing and Jack assured me that the pulmonary exercises were working and he was booked for physio session on Wednesday at 1.00pm. Jack was fiercely guarded of his living independence. He did not want to go into care but knew his family were more than happy to assist if he ever wanted to leave Ruskin Street. The St Leo’s Wahroonga College website talks of being a witness to Christ to love one another as I have loved you and to be men and women of conscience. CBC St Kilda speaks of the words and deeds of Jesus being living, relevant, and for the college to nurture moral principles for the boys. Emmaus College’s Charism emphasis one To Know Christ. John Sheely without a doubt gave Catholic Christian witness to all three colleges in heart, in mind and in soul. And may we all continue to stand tall on his shoulders. 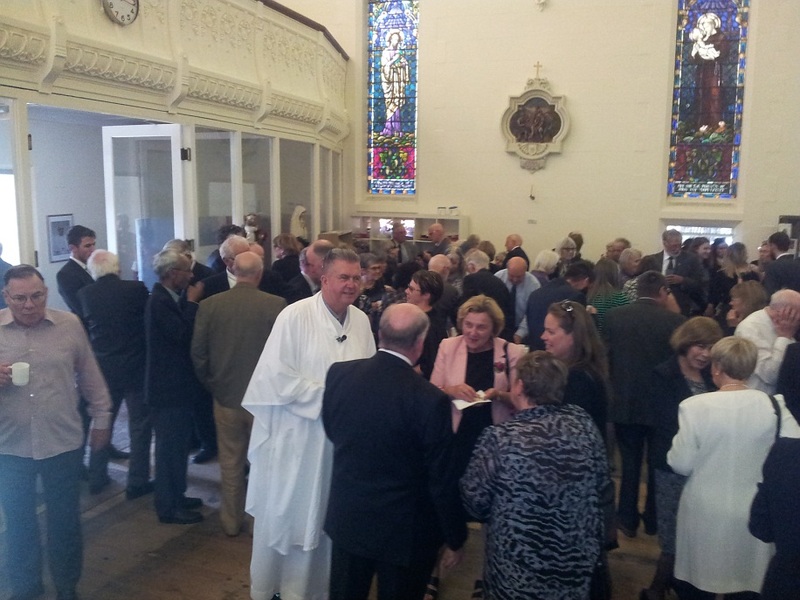 Jack was honoured to have an Emmaus College Day named after him. I hope every year, every student at Emmaus know what the John Sheely day stands for. That’s what Catholic Schools do and do well; they deepen the charism in the hearts and minds of students and staff. Jack the reluctant saint; you honoured the call of Christ in all that you did in your one solitary life. John Sheely, Uncle John and Jack. You made us all seize the day; you were my and our inspiration. You made so many lives extraordinary. Blessings and farewell on you our Reluctant Saint. Nephew Russell Sheely places the photo of John as a reminder of John’s years of service and dedication to Catholic education. John was always willing to enjoy the discovery and challenge of learning. Sr Rosemary Crumlin brings forward books and a pen. John was always an avid reader and in recent years enjoyed the words of Benedictine nun, Sr Joan Chittister. John also enjoyed all things Shakespeare; ancient history and sent many affirming letters and Christmas cards. Joan Davies from the St Columba Parish Legion of Mary places the Rosary Beads. John was a committed and loyal disciple of prayer. John was true in spirit and in action to his Catholic Faith. John was faith filled and faithful to Our Lord. Helen Murphy a long-time colleague places a Wallaby scarf. John loved rugby, especially the running Wallabies. There was always plenty of banter with friends during and postgame. John’s friends would witness all human emotions when watching a Wallabies match. There would be yelling; standing up; sitting down; walking around a room; walking out of the room. Then a calm and intelligent postgame chat would be held. 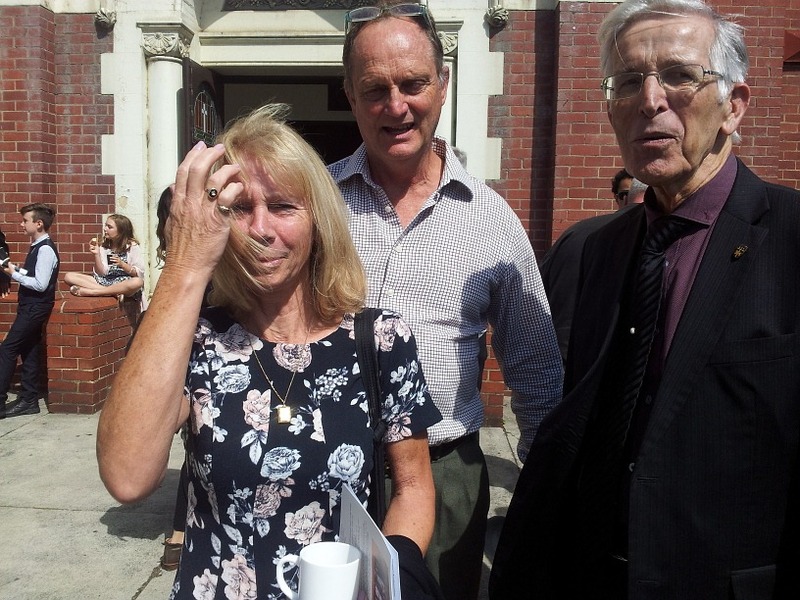 Rory Barr's partner, Karen Edwards, Phil Johnston and John 'Nicko' Nicholson outside the church after the service. 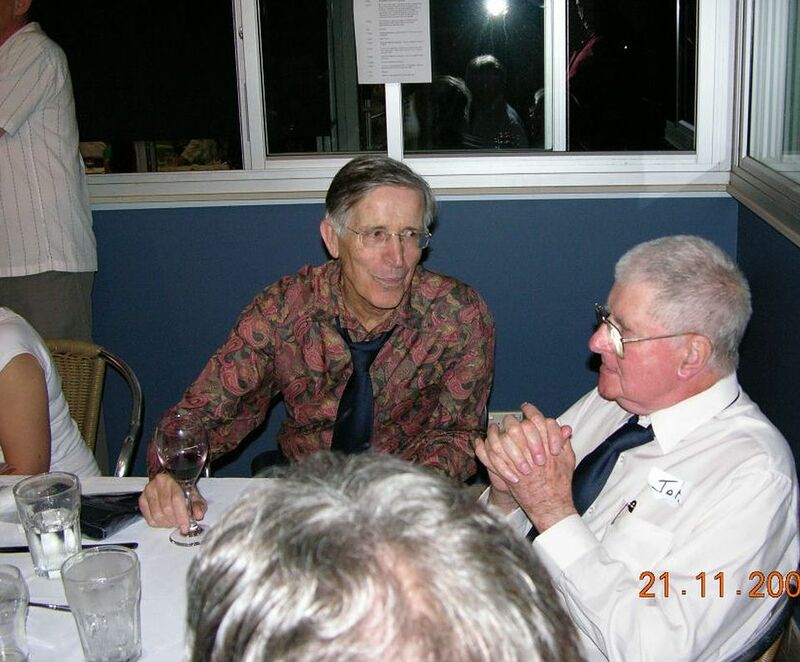 A pic of Nicko and John at the Class of '69's 40th reunion at The Bluey in Nov '09. As Philip Walker's above 'Dear John letter' acknowledges, one of John Sheely's hallmarks was his capacity to always listener intently. He wouldn't jump-in wanting to hear the sound of his own voice. John would invariably listen with the above evident concentration, and then proffer a well thought through response. Footnote: The funeral service for John Francis Sheely was a fitting tribute to a marvelous, generous human being who led a long life giving to others. The funeral service would not have taken place so well, without the tireless work of John's nephew, Wayne Smith, Father John Petrulis (pictured in the above first group pic) and a committed group of parishioners from St Columba's Catholic Church. John's nephew, Wayne Smith, who took carriage for John's funeral, is keen to visit John's really old students and teacher mates in Sydney in a few months time. When Wayne comes 'north of the border', we will likely organise an early 'din dins' at The Kirribilli Club where we held John's 80th birthday celebration.